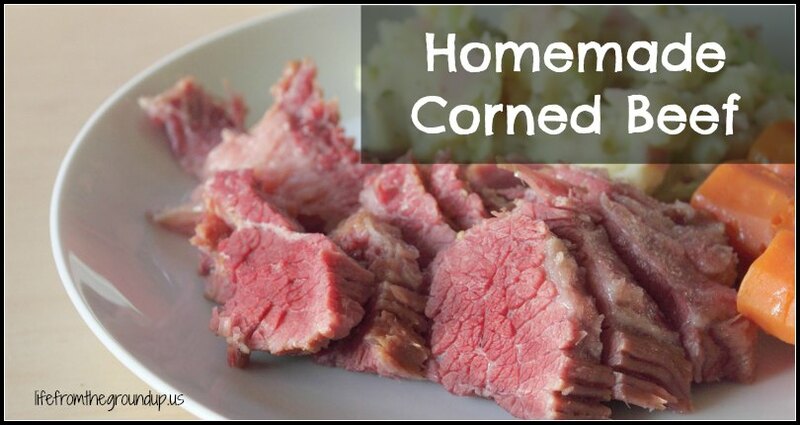 Homemade Corned Beef - No Nasty Additives and Even More Delicious! Nothing says St. Patrick’s Day like a dinner of corned beef and cabbage… that, and a bunch of clearly non-Irish people dressing in leprechaun suits and drinking green beer. 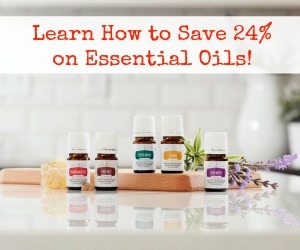 Of course, as with many other products, what you’d pick up in stores is generally full of unfriendly additives, doesn’t taste as good, and is more expensive than what you could make yourself (and note that the cheaper it gets, the more full-of-garbage it gets too!). 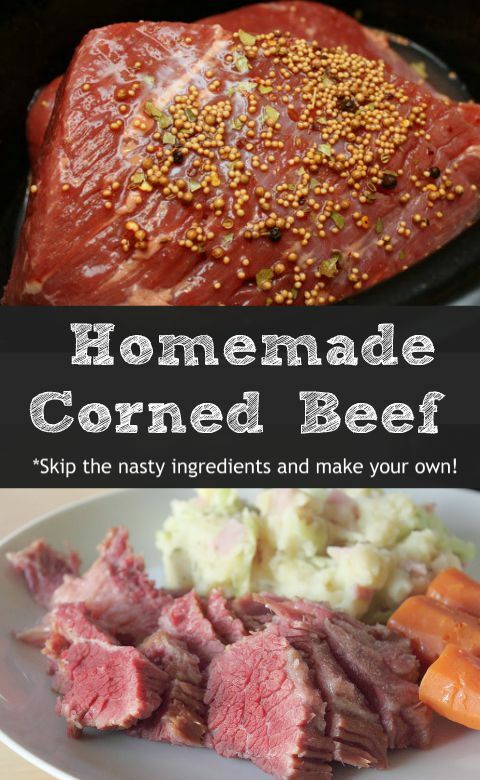 Since it’s so easy to make your own homemade corned beef, why don’t you start a new tradition this St. Patrick’s Day? Corned beef, in spite of many popular misconceptions, has nothing to do with corn. Corning refers to the brining process, which was used as a means of preservation in the days before refrigeration, so really, it’s just pickled beef. But I think homemade corned beef sounds nicer than pickled beef, at least to modern American senses. The process is a simple one – you’re going to put a chunk of beef in some salty water (the brine), along with some spices and a little sugar. Traditional pickling spices like clove, pepper, and coriander are common, but you can jazz up your homemade corned beef however you see fit. Add a little extra spice, or some non-traditional flavors – the possibilities are pretty much endless. 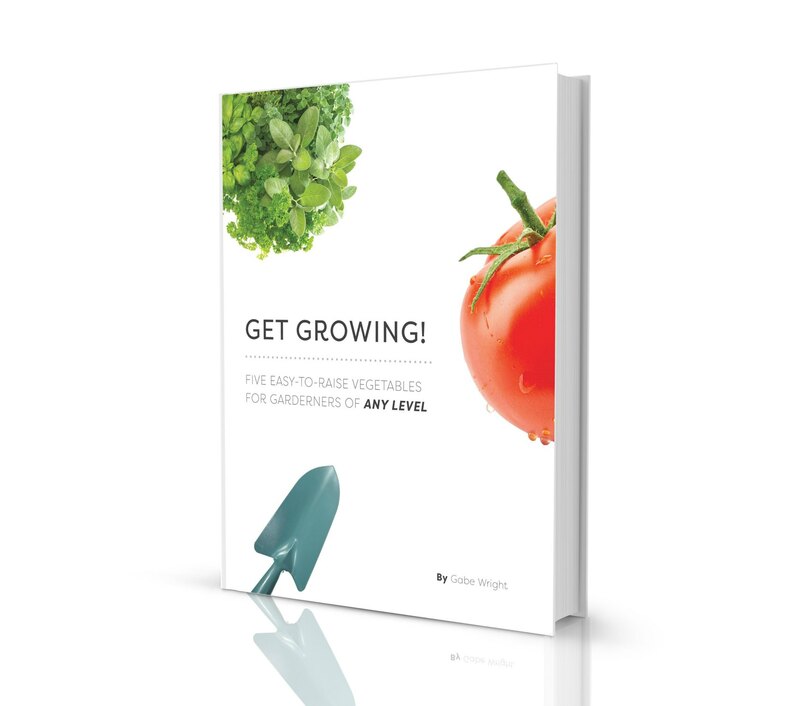 Just note that it takes a couple days, so prepare in advance – you’re not going to be able to whip this up on March 16! 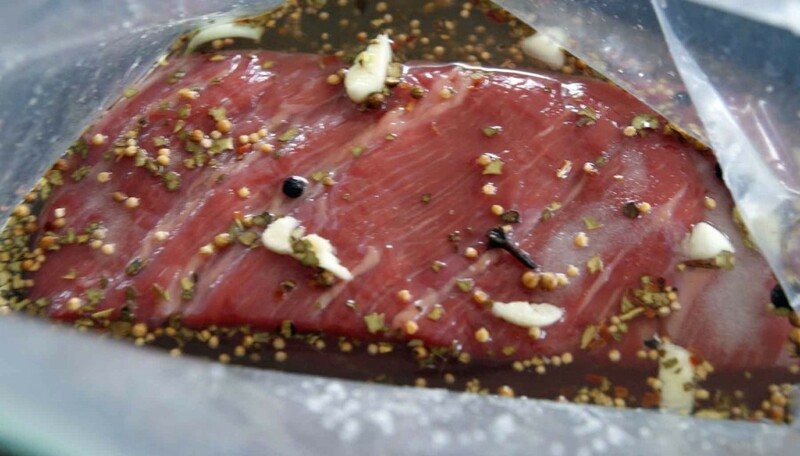 Add the beef and brine to a gallon-sized plastic bag, or another container that allows the beef to be fully submerged. Let it sit for a few days and flip the beef or the bag periodically so it’s brined evenly. The usual cut is brisket, but you could use anything that’s mostly flat and uniform thickness (at least an inch). The beauty of the recipe is that you can modify it as you see fit – keep it traditional, or make your own additions to spice it up! Mix everything in a large pot or bowl, stirring well until all the salt and sugar are combined. Many people heat the water to help it dissolve, but it's not absolutely necessary. If you heat the water, let it cool. Place the brisket into the pot or another pan of appropriate size, and make sure it's completely submerged in the brine. Alternatively, you can put the whole mess into a ziploc bag - it takes up less space. Just make sure that you put the bag in a bowl or something that will catch the liquid in case the bag leaks - the last thing you want is a gallon of brine leaking all over the fridge! Put the brisket into a refrigerator, and let it sit for at least 3-5 days, checking and turning occasionally, if necessary, to ensure that the brine is evenly distributed. When it's fully cured, remove the brisket from the brine and rinse very well. To cook, place into a pot of water and simmer for 2-3 hours, or until tender.